How much is LeBron James Worth? 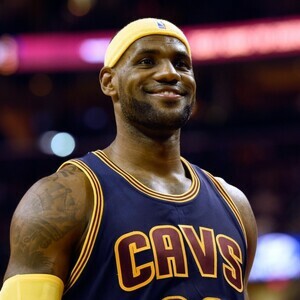 LeBron James Net Worth salary and career earnings: LeBron James is an American professional basketball player who has a net worth of $440 million. 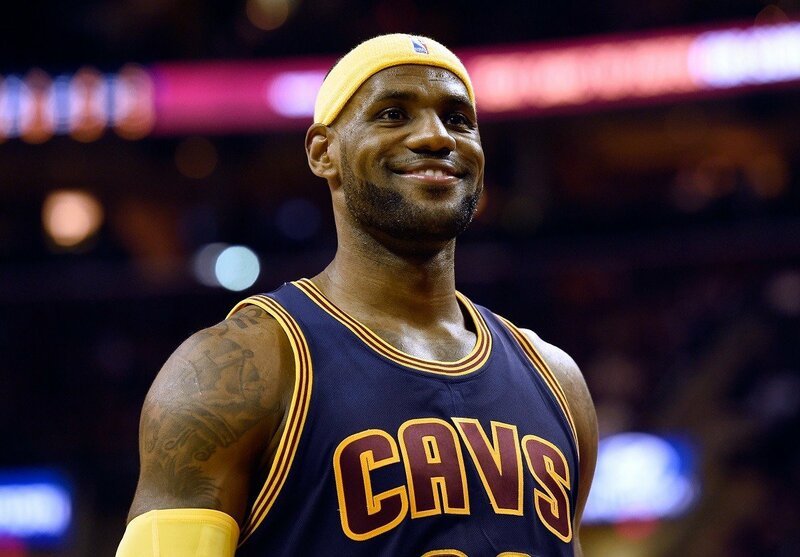 Every year, LeBron James earns around $40 million in salary from the NBA and roughly $55 million from endorsements. That brings his total annual income to roughly $100 million. Between June 2016 and 2017, LeBron earned $86 million. Between June 2017 and June 2018, LeBron earned $85.5 million. During his first 10 seasons in the NBA, LeBron James earned just over $126 million in salary alone. During that same time period LeBron has earned an estimated $326 million from endorsements. When you total it all up, as of this writing, LeBron has earned slightly over $600 million during his career (before taxes and expenses). LeBron currently has endorsement deals with dozens of companies including McDonalds, Microsoft, State Farm, Beats by Dre, Coca-Cola, Dunkin-Donuts, Baskin Robbins Samsung, Nike and more. In addition to endorsing Beats by Dre, LeBron also owned 1% of the company. He earned royalty payments totaling $1 million during his years a spokesman and when the company sold to Apple for $3 billion, LeBron took home $30 million. He signed his first Nike endorsement deal at the age of 18. The deal paid $90 million over seven years, $12.8 million per year. Today LeBron earns $20 million per year from Nike in the form of salary and royalty payments for his signature shoe line. LeBron James was born on December 30, 1984 in Akron, Ohio. When LeBron was just an infant his mother gave him a miniature hoop and basketball which he played with for hours. Soon, basketball became LeBron's life and when he was old enough to play for his elementary school he excelled immediately on the court. 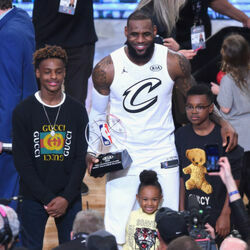 LeBron attended St Vincent-St Mary high school where, as a sophomore, he became the youngest person ever to join the USA Today All USA first team. In his junior year he was named the Gatorade National Player of the Year. It was also around this time that he became known as "King James". James began to appear on the cover of "SLAM" magazine and Sports Illustrated even though he was still in high school. It was clear to everyone that LeBron was destined to be an NBA superstar. LeBron James was chosen by the Cleveland Cavaliers as the first overall pick of the 2003 NBA draft. During his first season, he was the youngest player to ever score 40 points in a single game, as well as the youngest player ever to be voted Rookie of the Year. 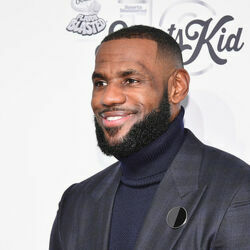 In addition to playing for the Cavaliers he has also played for United States Olympic basketball team and won bronze and gold medals the 2004 and 2008 Olympics, respectively. In 2012 and 2013, LeBron and The Miami Heat won the NBA championship. He was also voted MVP of both series. On July 1st, 2018, LeBron announced he had signed a 4-year $154 million deal to join the Los Angeles Lakers. His previous deal paid him $136 million over 11 seasons. 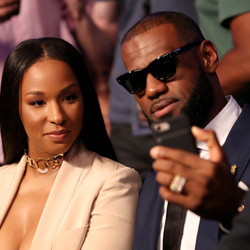 James has two children with his high school girlfriend Savannah Brinson. After opting out of his contract with the Miami Heat, on July 11th, 2014, LeBron James shocked the world by announcing that he will be re-joining The Cleveland Cavaliers starting next season.